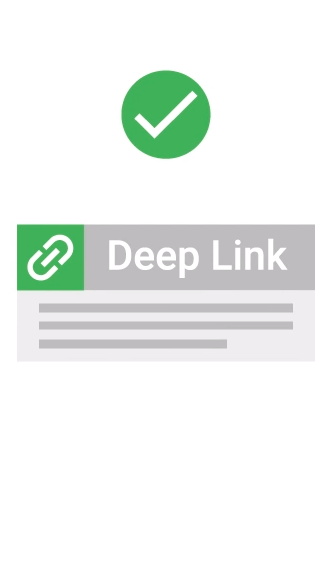 Google Deep Link takes users directly to relevant content in your app or prompt them to download the app before launching it. By enabling deep linking for your mobile app, you can direct users to a specific location inside your app, which can be a sales, promotion or any relevant marketing content. 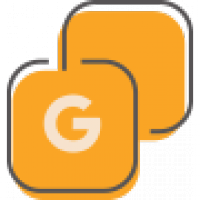 Google deep links work across multiple platforms, and whether or not your app is already installed. So even new users see the content they're looking for when they open the app for the first time. If users have your app installed, the link can launch your app and go directly to the content they're looking for. For users that haven't downloaded your app yet, they can be prompted to install it; then, after installation, your app starts and can access the link. Convert web users to app users by seamlessly directing users from your mobile website to the equivalent content within your app. Enabling your users to share content from your app with their friends to get new app users. With Deep Links, you can create a great user-to-user sharing experience. Use QR codes or bar codes that encode a Deep Link in your physical displays to promote your app at events and venues. Users can scan QR codes/ bar codes and be redirected to the targeted content in your app.